Casuistry is a fancy theological word that means something like "the search for special cases." It exists by necessity; the law abounds, and so we humans (born lawyers, according to a friend) are compelled to search for ways to get around it. In fact, one might argue that casuistry makes up the bulk of a lawyer's job description: a client is accused of some manner of law-breaking, and the lawyer attempts to find a reason that, in at least this one instance, the law-breaking was justified. Lawyers spend dozens of billable hours a week at this job, but we humans are at it during every waking moment. There are a million examples of casuistry in the world: lying is wrong...unless it will hurt someone's feelings. Stealing is wrong...unless it is from a big, faceless corporation. And now, a relatively new one: enhancing your performance on the athletic field is wrong...unless you do it in socially acceptable ways. Syringes of Testosterone Cypionate, bad. Platelet-enriched ankles, good. The "cream" and the "clear," bad. Lasik surgery, good. Certainly it is true that some substances and procedures are banned by athletic federations and some are not, but the entire enterprise of picking and choosing which methods of performance-enhancement are "okay" and which are not is fraught with intellectual danger, if not outright buffoonery. We engage in the casuistic exercise because we are desperate to justify ourselves. If we find an instance in which we are out of line (and therefore not "justified"), we scramble for a reason. "I told her that she looked great in that dress because the conventions of society told me to." "I didn't claim that income on my tax return because it would have required a lot of paperwork and it was only like $5 over the minimum limit anyway." Casuistry comes from the desire to never have to throw oneself on the mercy of the court and beg for a savior. Casuistry is a problem, then, for the same reason that anything that keeps us self-reliant is a problem: it clouds our ability to see ourselves as profoundly in need. The more (seemingly) successful we are in our casuistic enterprise, the longer we will hold on to our (apparent) ability to save ourselves. But this is a ruse, a fake. 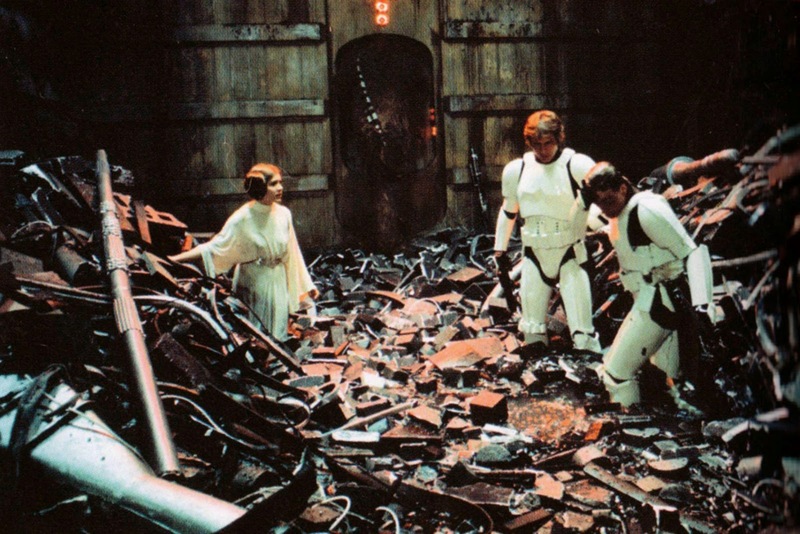 We are in the Star Wars trash compactor, and the walls are closing in. Making up reasons that our situation is tenable is not a long-term solution. Best to shout out for help now.